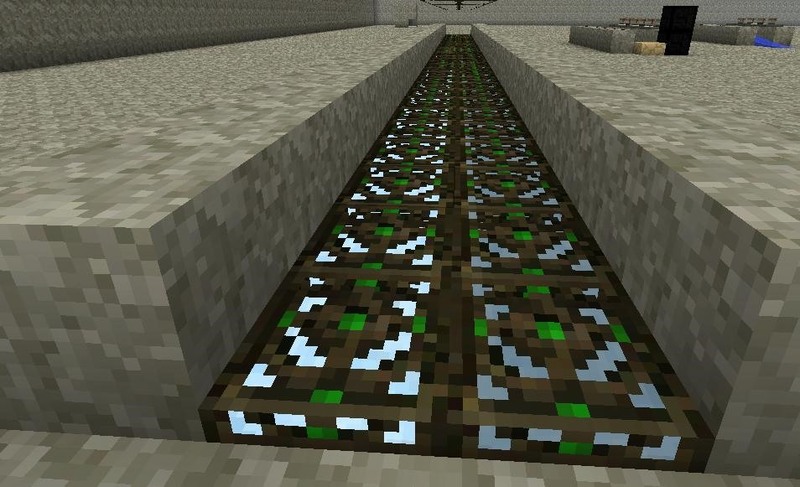 There are many ways to get around in Minecraft, from boats to mine carts, but did you know that you can travel even faster on foot? That's right, by creating a running track, players can run at super speeds! Not only is it the single fastest way to travel, it's easy to build as well. No redstone wires required. The super speed track works by creating a uniquely small space between the ground below the player and the space above him. When one runs along this unusually tight space, holding "jump", the player jumps at a rapid rate, creating an up and down bounce that effectively moves the player along at almost twice the normal speed, almost like a bouncy ball ricocheting in between two walls. 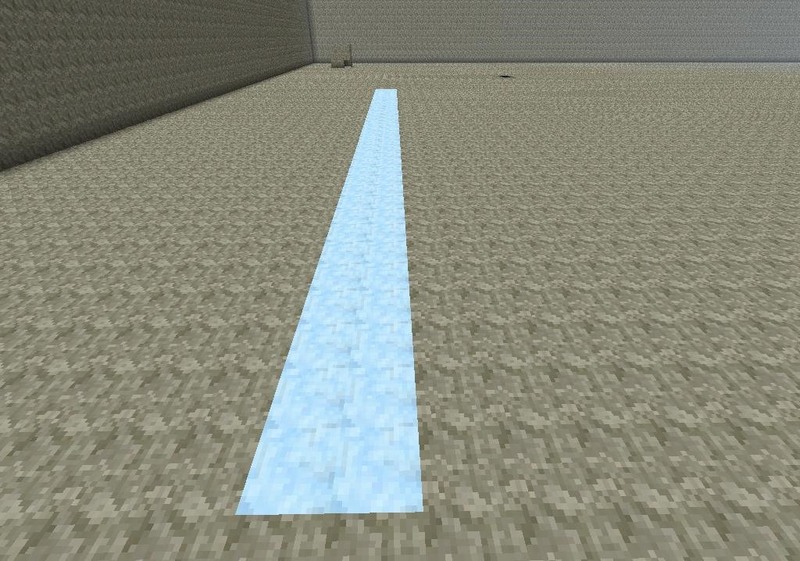 (1) Place ice blocks two wide, for as long as you wish your track to be. If you are in survival mode, you can get snow gollums to make ice for you. 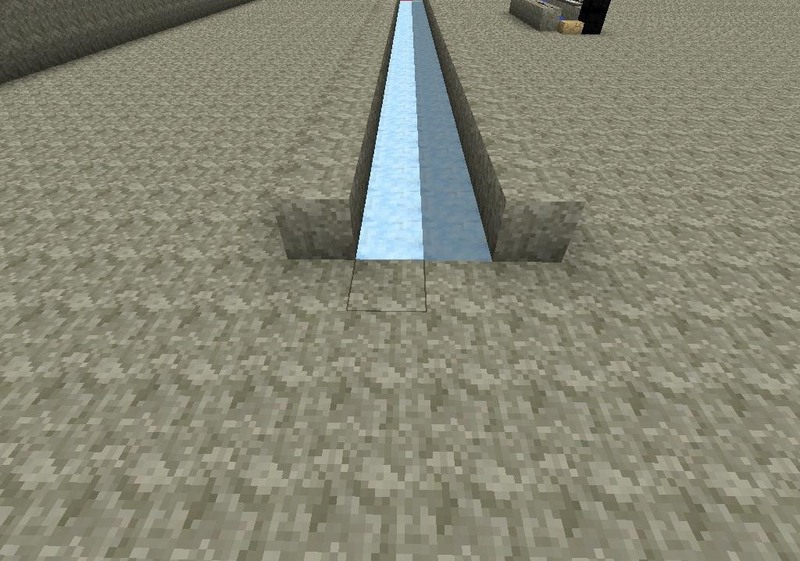 (2) Line the sides of your track with any block barrier. I have used stone above. (1) Place traps doors all along the ice path. 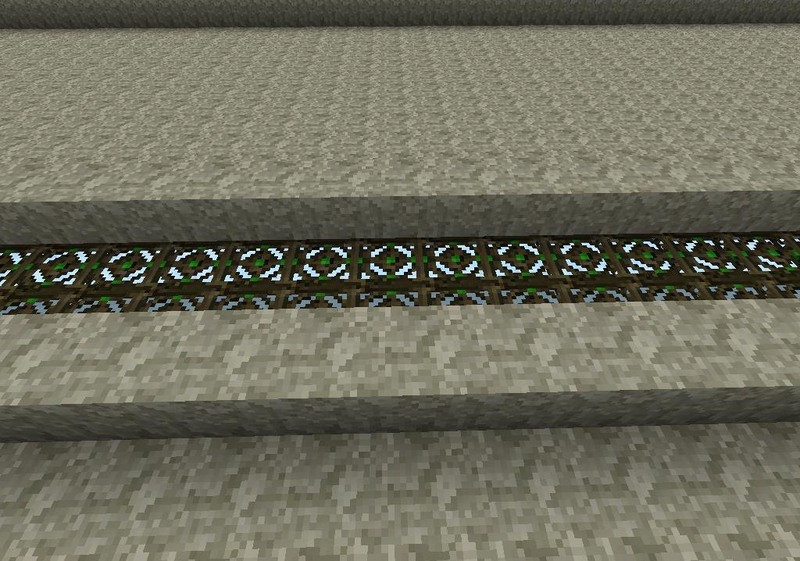 Be sure to have blocks straddling the sides of your track to ensure the trap doors can attach to something. , (2) Here you can see the trap doors from the entrance to my track. 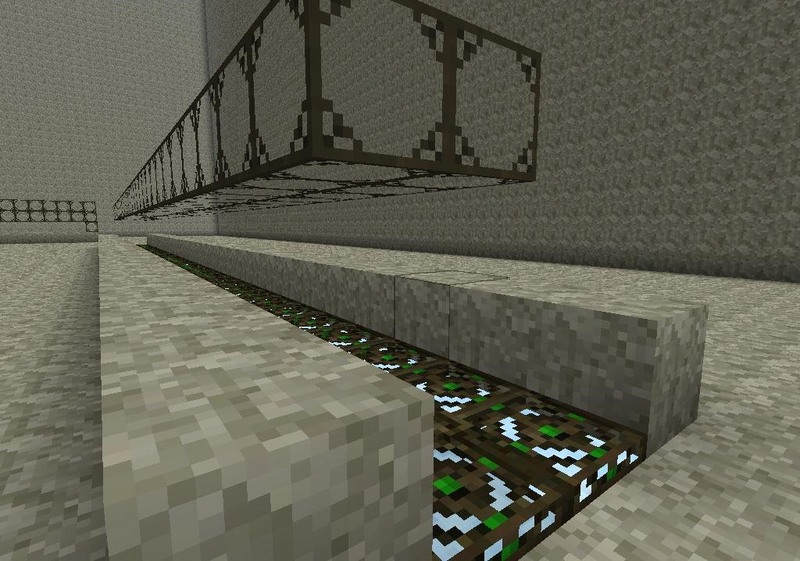 (1) Run glass blocks two blocks above the track. 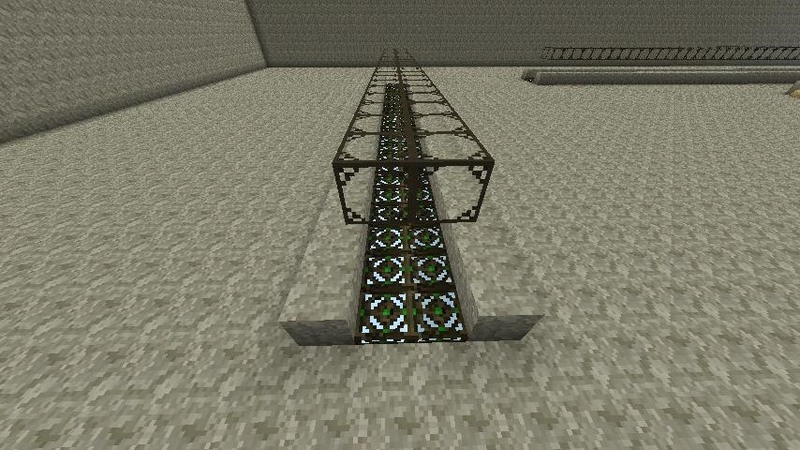 Leave glass blocks off each end of your track, otherwise you will not be able to access it. (2) Here you can see I've left off glass on the end of my track. Step 4 Run On Your Track! (1) Congratulations, your super speed track is finished! To run on your track at super speed, get a running start by double-tapping "w" and as you run along the track hold jump. 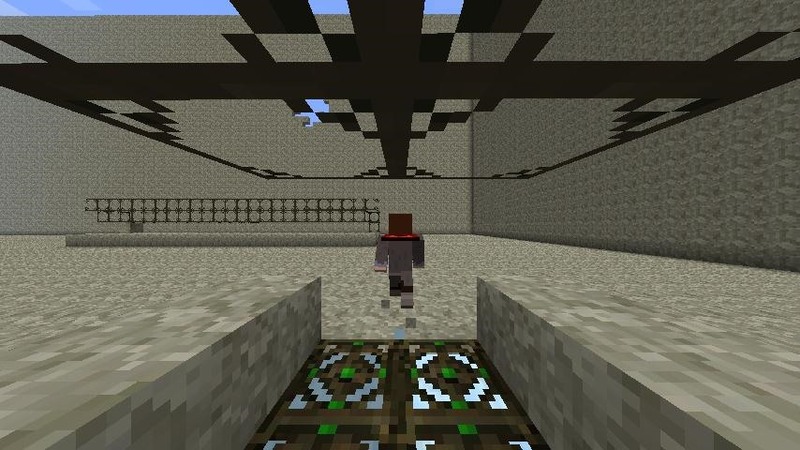 Your player will sort of bounce in between the trap doors and the glass, moving at a rate much faster than any other mode of Minecraft travel. 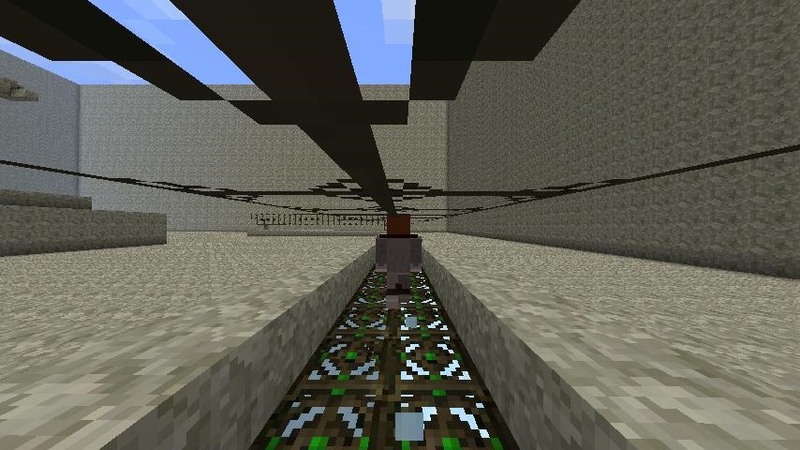 (2) This super speed track when combined with a swiftness potion burns some serious rubber! Players running along these tracks have been clocked at over 16 blocks per second. That's twice as fast as a mine cart on a powered rail! "If you are in survival mode, you can get snow gollums to make ice for you." How exactly can I get Snow Golems to make ice? Create them near a trench of water and the snow they add will turn it into ice. Hopefully Jeb changed things in the future so that the silk touch enchantment makes picking up ice blocks possible again. this no longer works on 1.0.0......i think. ive tried it on my single player, and it didnt seem to work. mabye you had forgotten somefing to add?